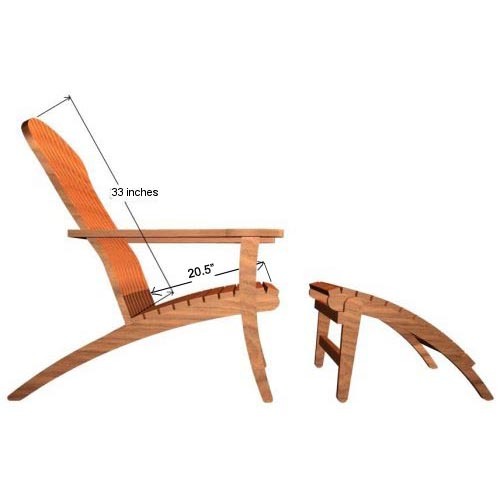 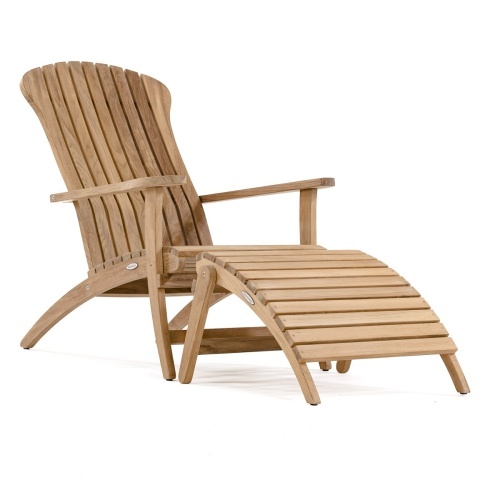 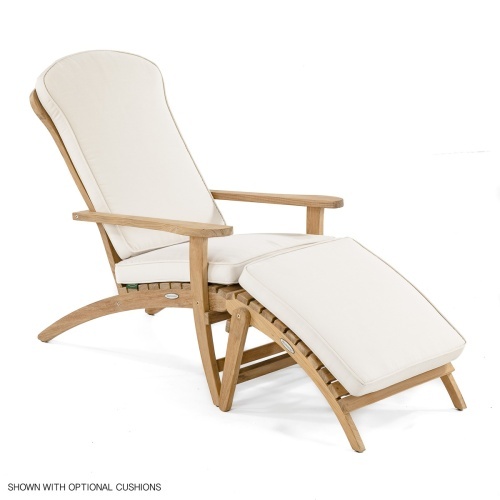 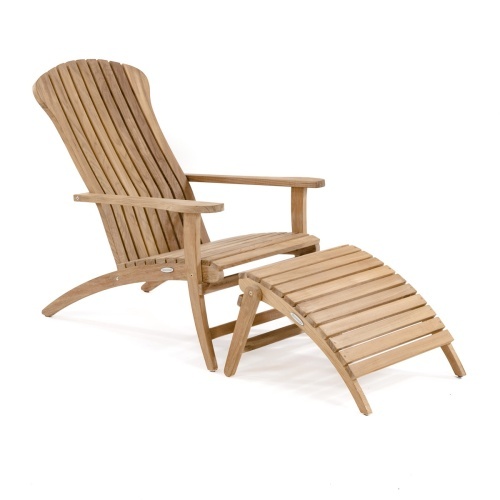 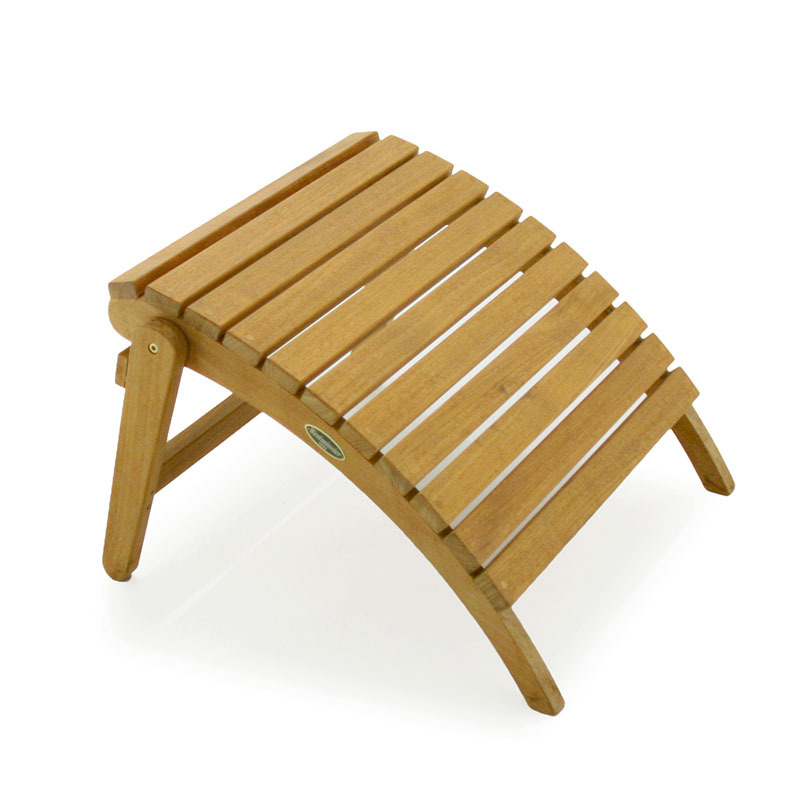 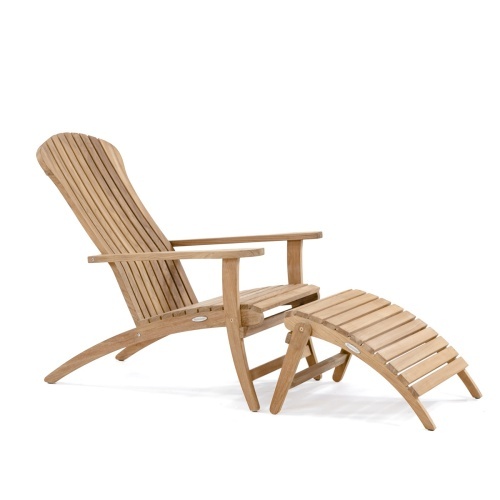 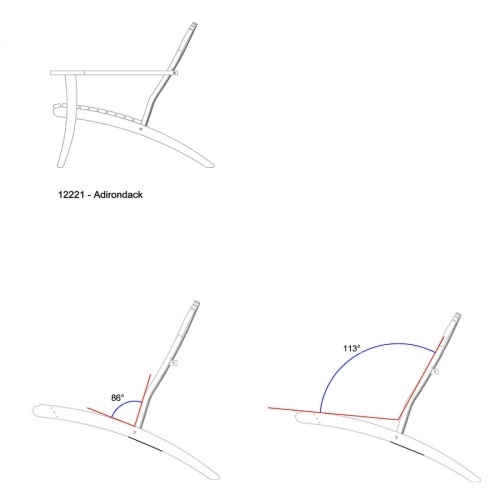 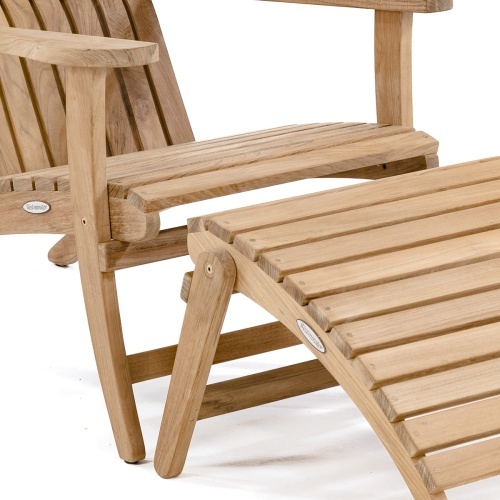 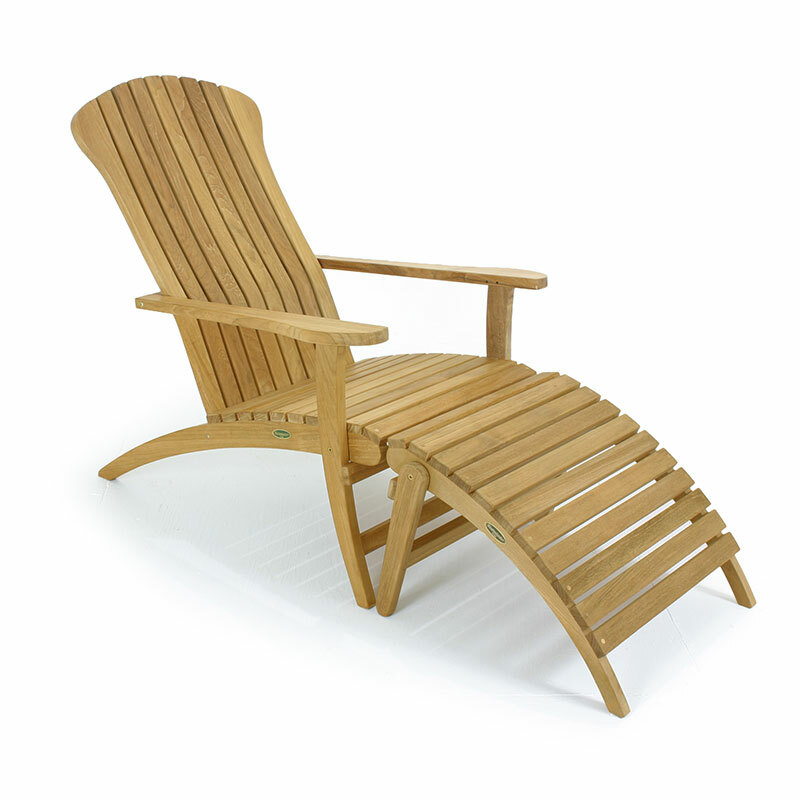 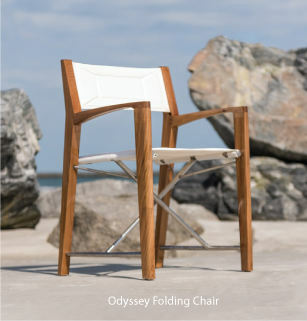 Widely known for its slanted back, low seat, and wide flat armrests, the Adirondack chair has been called the American summer chair. 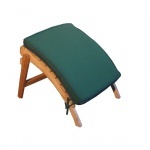 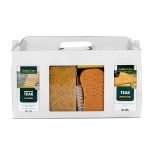 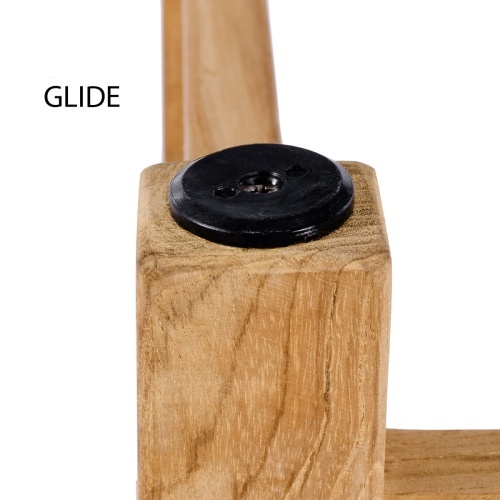 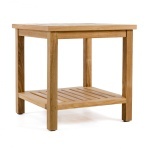 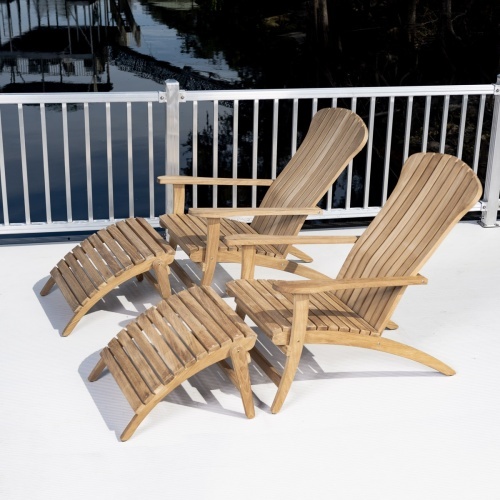 First crafted from humble origins, it has become a necessary staple in any outdoor setting ranging from home gardens and lawns to business patios. 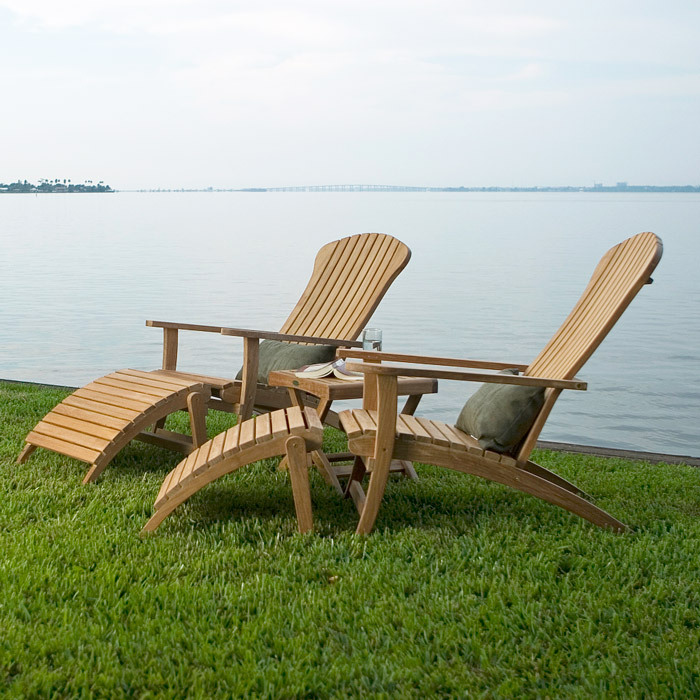 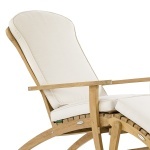 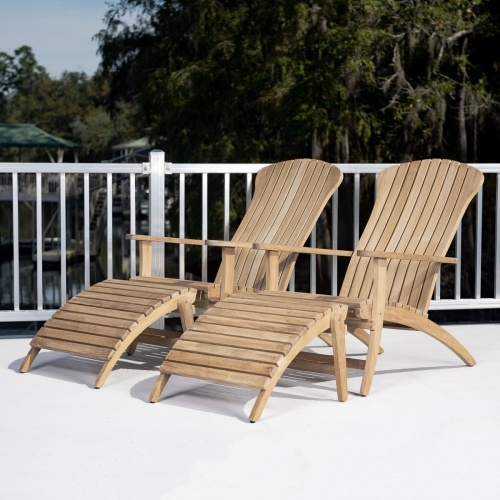 The Westminster Adirondack Chairs, with its exclusive design, distinguishes itself from traditional designs with its ergonomic contour in both the backrest and accompanying footstool, making it the optimal choice for pure comfort in the outdoors. 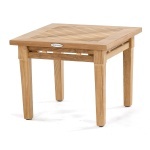 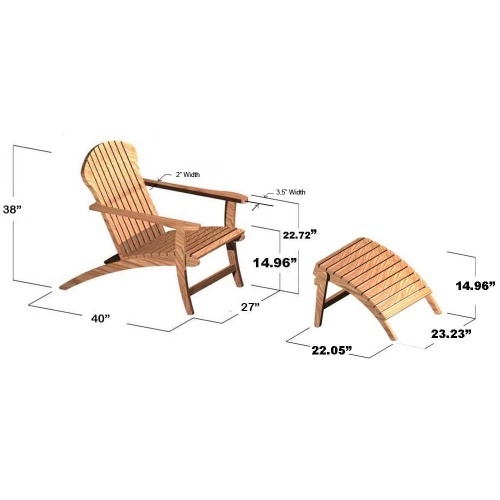 Comes With Two Adirondack Chairs and one Folding Ottoman. 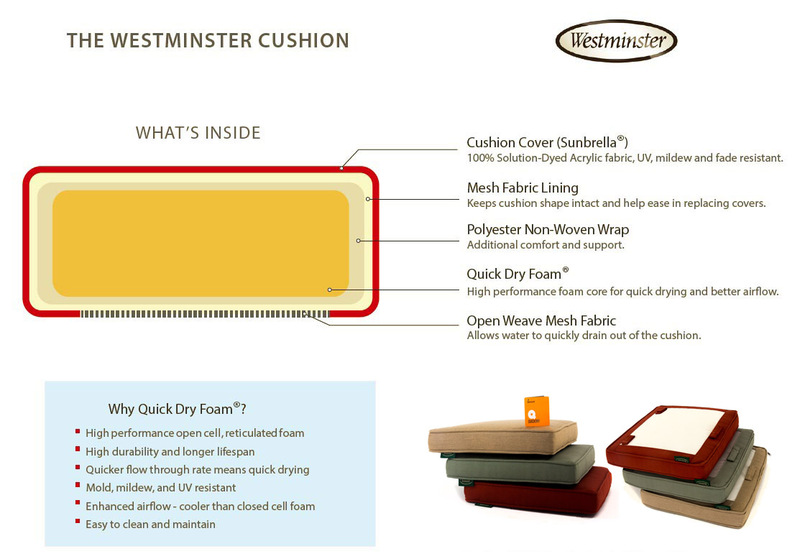 Cushions optional.